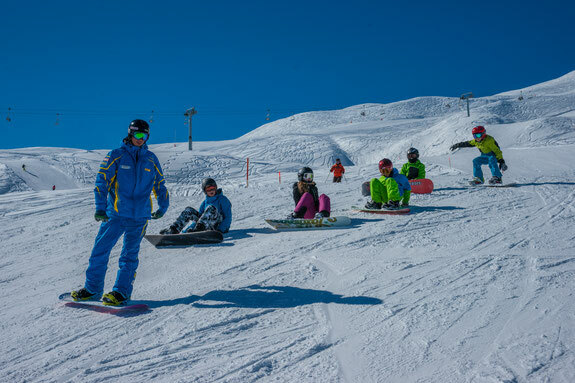 We offer snowboard lessons from the age of 7 years, in groups of 5 to 12 people maximum. A group is made up of several students with the same ability. If a group is made up of fewer than 5 students, class lessons will take place only in the mornings. A minimum of 3 students is required. It is not necessary to book in advance, however we ask you to register your kids on Saturday or Sunday between 14:00 and 17:00 o’clock in the office of our snow sports school. The minimum age required for snowboarding is 7 years. Is your child not yet 4 years old? In Brigels we offer lessons for ski munchkins!